The property you will build on very often determines what your design layout will be. The size of the lot, the grade, if there is a view you want to take advantage of, etc, all of these aspects effect what your design will be in the end. This is where you should begin. Realistic budgets are your next step. Be sure you do your homework regarding your expected costs. We can give you a cost estimate on the log work that we will supply for your log home, but that price is only for the log package. Sitka Log Homes can supply door and window packages as well as some roof packages with the log work if you require that service. Be prepared by having a few general contractors supply estimates with break-downs on the finishing of your home. Will you hire an architect or use our in house design service? Either way we will work closely with everyone involved in the exchanging of ideas resulting in a unique log home as well as ensuring a design that will work. Sample plans are offered as a starting point for you, as well as something for you to obtain a price on to help give you an idea of the costs involved. Sitka Log Homes recently displayed at the BC Log Home Timber Frame & Country Living Show in Abbotsford, BC. Representing Sitka Log Homes was our general manager, Walter Bramsleven, who presented seminars on “Planning the Perfect Log Home”. Walter was impressed by the number of people who came to visit our booth. He estimates about 8,000 visitors to the show. Thank you to all who came by to speak with Walter. If you have any follow up questions just call or drop us an email. We will also be attending two log home shows in Alberta next month where we will be displaying a full log house for sale during the log home shows. Last year in Vancouver, BC we sold our display house within 10 minutes of the doors opening. View pictures and the plans of our handcrafted log house display. It could be yours! 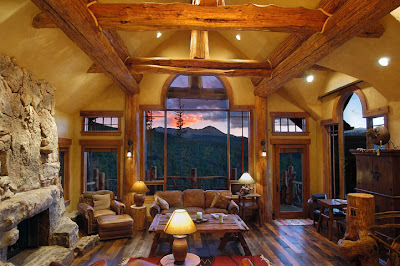 Welcome to the Sitka Log Homes Blog! 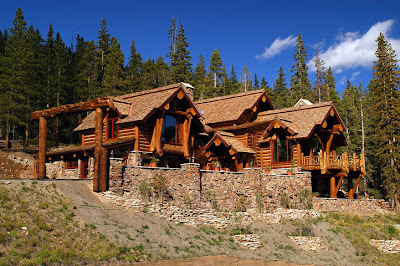 This blog is intended for people interested in log homes, timber frame homes, and hybrid log and timber homes. Regularly we will post valuable information regarding the log home industry. Topics will include, types of wood used, log home maintenance, milled log homes versus handcrafted log homes, insulation value of log homes, green building practices, using the pine beetle wood of British Columbia, log and timber detail/accent work, log home shows, choosing a log home design, our Olympic ties, etc. Projects that we are working on will also be listed in this blog. We hope you find our blog useful and that you will return often to learn something new and leave your comments.